Apple's iMac Pro is finally available to buy. I spent the day with Apple and some its key application developers including Adobe and Maxon - and more than a few iMac Pros. 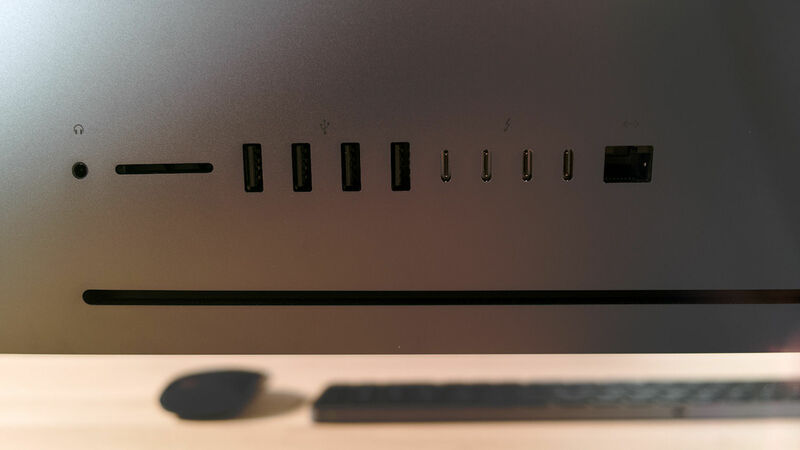 And while I didn't get a chance to test the performance of Apple's latest desktop - we'll have a unit for testing shortly and will complete a full review - I did find out a lot more about what makes the iMac Pro a 'pro workstation'. From the outside, the iMac Pro is distinguishable from the standard model only by its Space Gray colour scheme (and a couple of extra ports at the back - but more on those later). 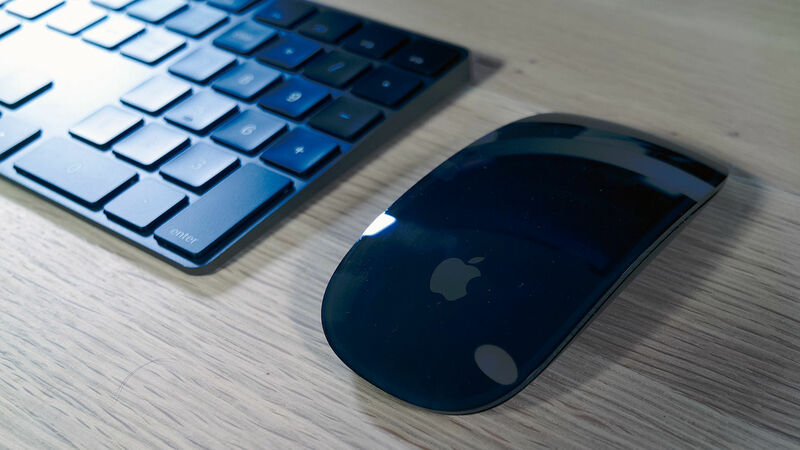 This palette extends to the iMac Pro's mouse, trackpad and keyboard - which is full-size with a numeric keypad (there's no gray version of the smaller keyboard). It's a minor thing, but I prefer the Space Gray colour scheme to the traditional iMac silver. 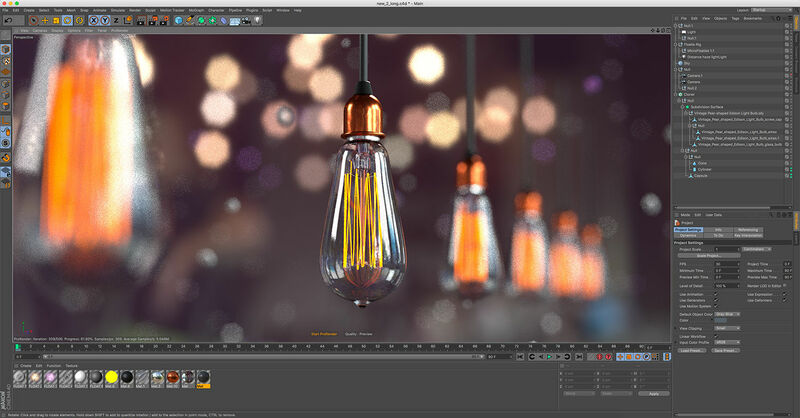 It feels a bit more, well, pro - and a better match for the dark interfaces of Premiere Pro and After Effects, Cinema 4D and Maya, and Final Cut Pro X. (Apple has also launched Final Cut Pro 10.4 at the same time as the iMac Pro. Read our Final Cut Pro 10.4 review). I say it's a minor thing - and in real terms it is - but we know that aesthetics can make a definite difference when buying a computer, a bigger difference than most of us would readily admit. And the colour scheme is part of Apple's way of saying that it's committed to the pro market after being accused of caring more about selling iPhones to Instagrammers and MacBook Pros to business people who want to feel creative and hip. What that 'pro market' is though is a little nebulous. Is an illustrator creating artwork on an iPad Pro not a 'creative pro'? Or a designer using a 27-inch iMac? The real answer is that the line between the iMac and iMac Pro is (space) grey and fuzzy. They're essentially part of the same range. If you need a certain level of performance or have a set budget, the iMac will work perfectly for you. If you need more, and can pay more - or just have to have the biggest, baddest Mac to satisfy your ego or show off to clients - then you move onto the iMac Pro. (And if you need even more, Apple's working on a new Mac Pro for 2018, though we have no details on it). The kind of work that requires an iMac Pro rather than a standard iMac? We'll know for sure when benchmark our review unit, but I did demos of the kind of apps that Apple thinks would suit the iMac Pro. Some of these weren't for Digital Arts readers - we saw a Mac-only medical app for visualising MRI and CAT scans called Osirix MD that can run in real-time on the iMac Pro and a fun VR-based collaborative music creation app called Electronauts that was previously PC-only. More in our field, we saw Adobe's 3D design software Dimension - which will render faster using the additional cores found in the iMac Pro's chips. The same is true for 3D suite Cinema 4D (more on this later). And we also saw Gravity Sketch (below), an innovative VR-based drawing and sculpting tool that's currently mainly aimed at industrial designers sketching cars and shoes - but co-founder of the London-based company Oluwaseyi Sosanya told us that they're actively looking into adapting the software for graphic and UX design, and CG and VFX. So what's the difference between an iMac Pro from a standard iMac? Well, it's all about getting Intel's latest set of Xeon processors into the iMac shell. Even the new airflow system that Apple has created pretty GIFs of (below) exists only to get a chip that powerful into a case that slim and keep it near silent (I've sat next to iMac Pros doing demos of everything from Cinema 4D and Adobe Dimension to VR to medical imaging, and haven't heard a fan noise yet). The Xeon W processors has a few key advantages over the iMac's Core i5 and i7 chips. The first is the number of cores. The iMac tops out at four cores, while the iMac Pro has a choice of eight, 10, 14 or 18. You can order an iMac Pro any of these today, and while a model with eight or 10 cores will ship between Christmas and the New Year in the US and the first week of January in the UK, the 14- and 18-core models won't ship until late January or early February. Additional cores deliver greater performance in multi-threaded applications, though more cores doesn't necessarily mean more power. Clock speed also matters. The eight-core Xeon used in the iMac Pro runs at 3.2GHz and tops out at 4.2GHz (ie the speed a core can achieve if other cores are tuned down), while the 10-core runs at 3GHz and has a Turbo Boost of 4.5GHz. As has been the way with Xeon chips over the years, as you move up to more cores, the top speed slows down. So the 14-core model has speeds of 2.5GHz/4.3GHz, while the 18-core is 2.3GHz/4.3GHz. The inclusion of Xeon W processors also separates the iMac Pro from PC all-in-one workstations such as Dell's Precision 5720 AIO, which currently support only the previous generation of Xeon chips (and the E3 chips at that, which are mainly aimed at laptops). The Xeon W platform is about more than the processors though. It supports the AVX-512 instruction set. This allows the system to process twice as much data in same clock cycle - essentially doubling the throughput. From this you may seem some performance boost in existing apps might see benefits, while others will need developer updates. AVX-512 isn't only found on Xeon chips, it's also found on Intel's Core i9 chips - which have similarly high core counts to the Xeon W chips but are aimed at gamers and PCs competing with the likes of the standard iMac. These aren't available in the iMac yet, but if they were, then the iMac Pro may not seem that much more powerful. One component of the iMac Pro that you wouldn't see in the iMac, even if it was available with an i9 chip, is ECC RAM. This is - an has been - Xeon-only, and is more reliable than standard RAM (a definite boon if you do longer renders, and it's less likely to crash). Also unlike the iMac, you can't upgrade this RAM yourself - you'll need to go to a service provider. There are two graphics options, both from AMD. The Radeon Pro Vega 56 has 8GB of memory, while the Vega 64 has 16GB. It's HBM memory rather than traditional VRAM, which sits on the same package as the GPU for much faster throughput and overall performance with large textures and complex models. The Vega platform has a memory bandwidth of up to 400GBps - almost as high as Nvidia's highest end workstation-class graphics card, the Quadro P6000. Vega's performance is rated at 11 TFlops - which isn't much lower than the 12 TFlops offered by the P6000. If you want even more graphics power than that, you can connect an external graphics card over Thunderbolt 3. I saw an iMac Pro running Cinema 4D connected to two Sonnet eGFX Breakout Boxes, each with an AMD W9100 inside. This allowed it to work with a hugely complex model of a motorbike - imported from a complete CAD model - in a way that the iMac Pro alone wouldn't be capable of. This requires a version of Cinema 4D (below) that will ship in early Jan and Apple to add full support for eGPUs to macOS High Sierra. This is currently in beta, and is expected to be finally released in early 2018. The key difference in storage between the iMac and iMac Pro is that the latter has a T2 chip, which encrypts data onto the storage. It's not that relevant to Digital Arts readers unless you work for clients who would like that extra level of security around what you're creating for them - but the main point here, according to Apple, is that it does this without affecting the drive's performance. While Apple lists storage options of 1TB, 2TB and 4TB, these are actually comprised of two 512GB, 1TB or 2TB flash drives respectively. These appear as a single drive in a way that's kinda RAID-but-not-RAID, but with the faster I/O of having two connectors. The final difference between the iMac Pro and the iMac is that the Pro model has four Thunderbolt 3 slots to the iMac's two. A base iMac Pro will cost you £4,899/US$4,999. This has a 3.2GHz, 8-core chip, 32GB of ECC RAM, 1TB of SSD storage, a Radeon Pro Vega 56 with 8GB of HBM2 memory. Digital Arts readers who are would buy an iMac Pro over the standard iMac would probably upgrade this to the 3.0GHz, 10-core chip, 64GB of RAM, 2TB of storage and a Radeon Pro 64 with 64GB of memory. This raises the price to £7,599/$7,999. Max this out fully with 128GB of RAM and 4GB storage at you're at a little over £9,000/$9,500. Though realistically, unless you're working in non-creative areas like machine learning or scientific work, the £7,599/$7,999 model will be enough for your needs. 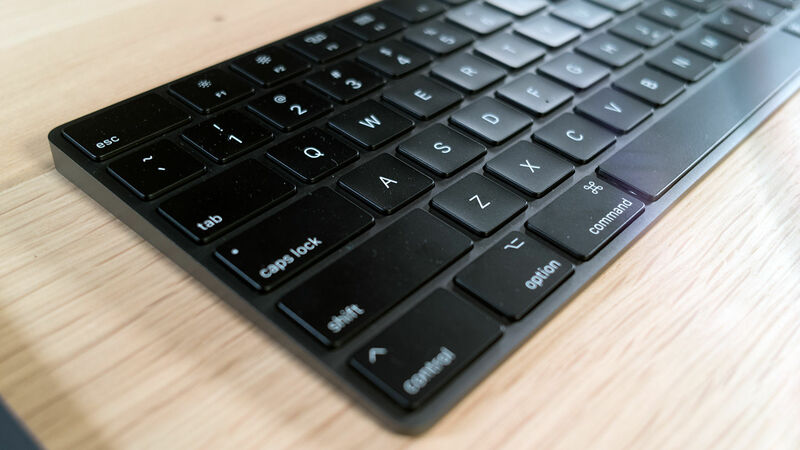 These configurations come with the iMac Pro, keyboard and mouse. Adding a trackpad will cost you an extra £149. And for £79 you can get VESA kit to mount it on the wall. This is different from the standard iMac VESA set-up, for which you have to buy what's essentially a standless iMac ready for mounting. The iMac Pro's VESA kit lets you swap an iMac Pro from mounted to being on your desk on its usual stand as you wish. We expect to receive an iMac Pro review unit shortly and will publish a review when it's complete. If you can't wait, you can buy one here.